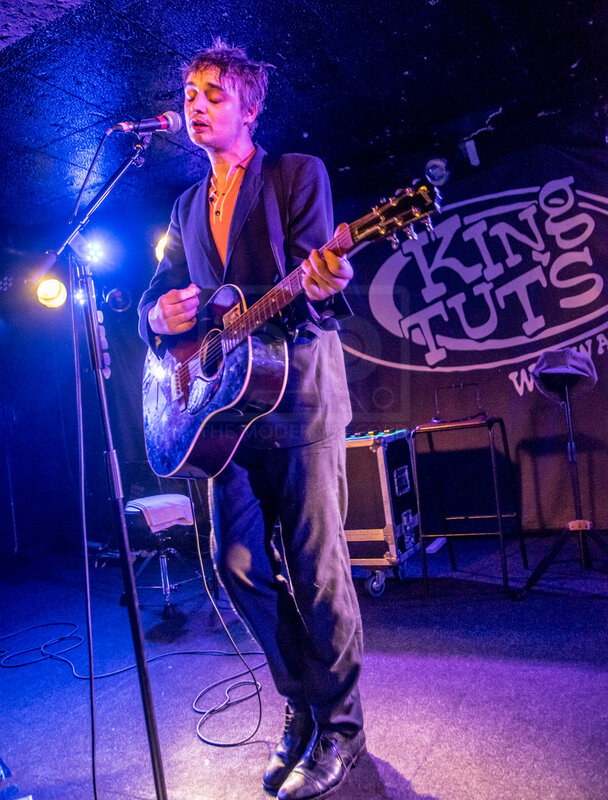 Pete Doherty, the man whose reputation travels ten feet ahead of him, performs an intimate show in Glasgow’s King Tut’s Wah Wah Hut; his state was worrying though not all unsurprising but his performance was impressive. 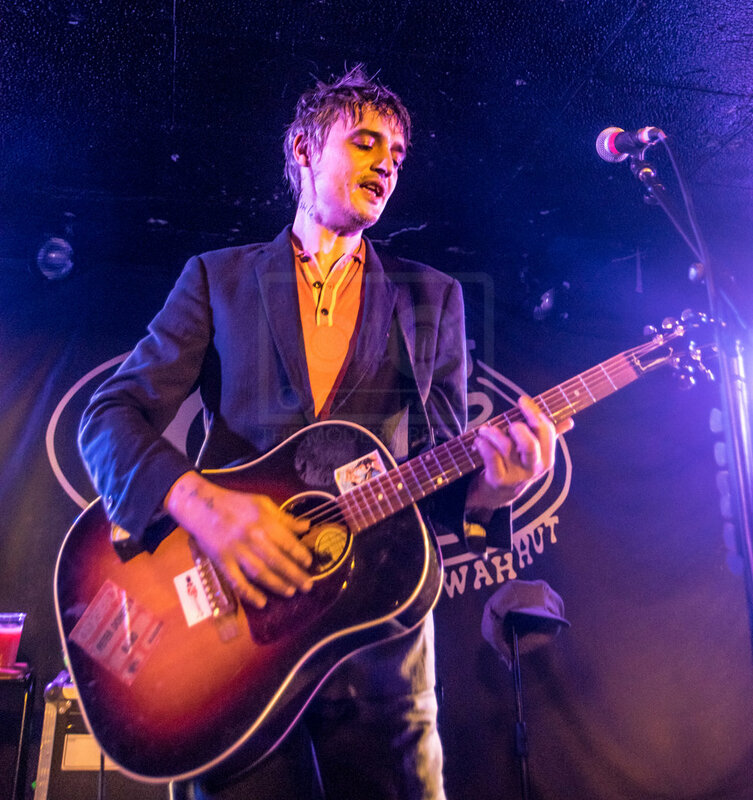 Pete Doherty has not been a figure to shy away from a bit of controversy. A man who suffered through drug addiction with multiple relapses throughout his life despite his battling with rehab stints, multiple arrests, driving bans and two brief periods locked up. 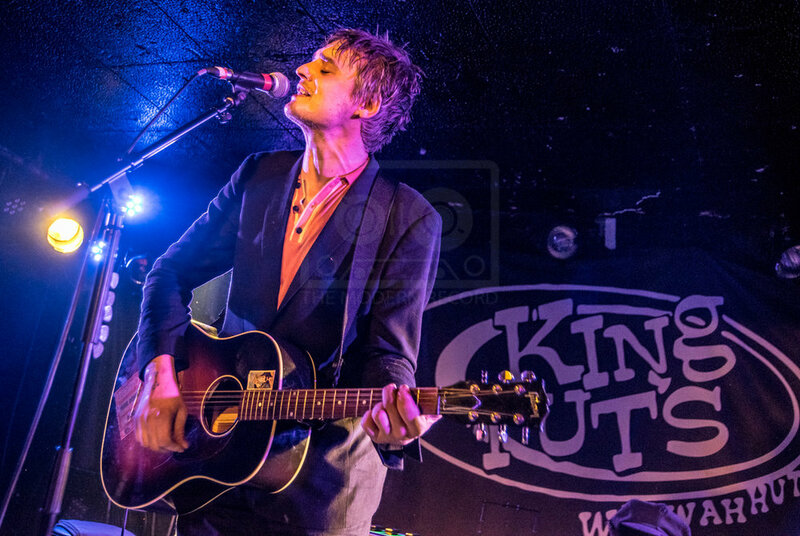 He is most known for his work with two bands; The Libertines and The Babyshambles. His notoriety was propelled by his turbulent relationship with model Kate Moss. This ended in 2007 shortly after their engagement. 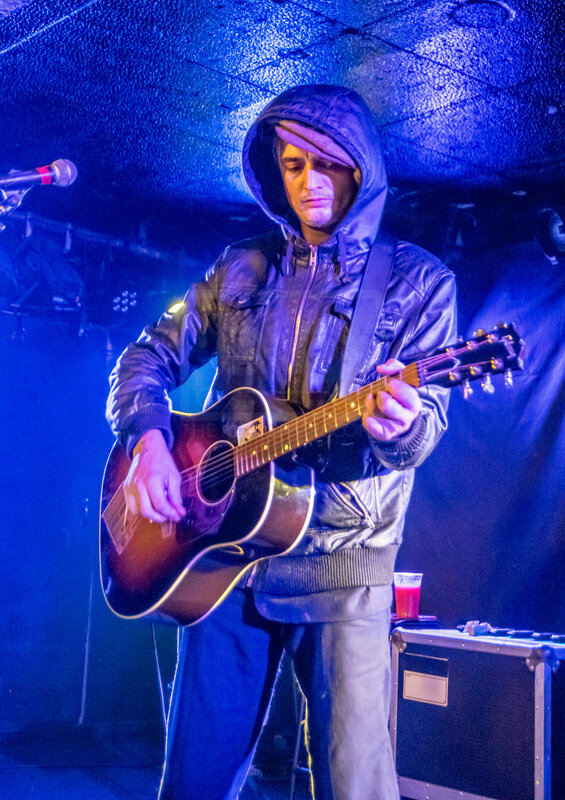 Rumours swirl about Pete Doherty and when interviewed he is evasive with questions and can jump from complacent to confrontational then next coming across quite innocent and, at times, reaching into the profound. His wide eyed stare is one that is haunting. He always seem to be experiencing an inner turmoil. With The Libertines, Doherty and co-frontman Carl Barât had a rocky friendship. 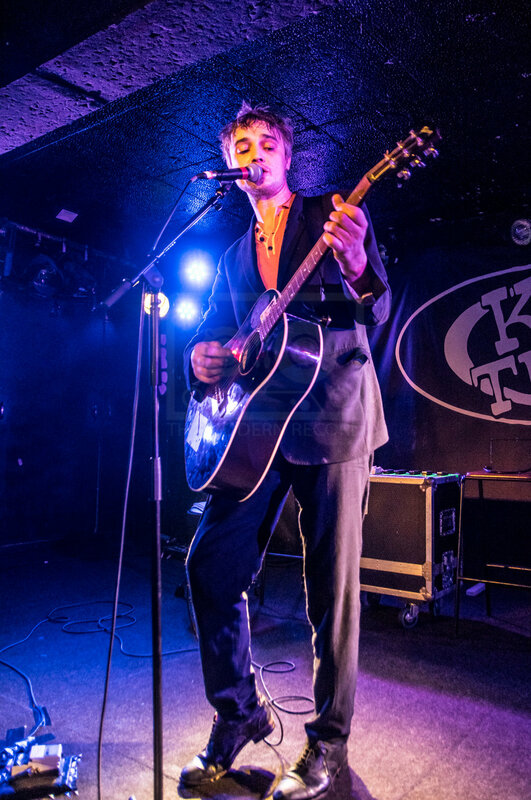 It sparked frequent estrangements of Doherty from the band with the root cause being through his substance abuse issues. Much of their early work is hard, poetic and beautiful; a slurred ode for any disillusioned troublemaker. The Babyshamble didn’t have quite the impact as Doherty’s previous. But the direction was still the same; indie rock with soft and hard side, and once again drug tensions rose and breakups flooded in. Doherty’s solo projects didn’t particularly land and have nowhere near the spark and punch of his earlier work. Despite his attempts to stay clean, the majority would suspect he is not and his performance in Glasgow during the Celtic Connections series did not do anything to dispel this speculation. Doherty takes to the stage only slightly later than planned, looking out of breath, sweating and wearing multiple jackets and a flat cap. He hops from one foot to the other and has a jittery pace across the stage. It’s a sold out crowd, of course, and people are rowdy to see him. When the layers come off its particularly evident how slim he is become recently. In his opening tracks he plays ‘Pipedown’ and ‘The Steam.’ Despite vocals standing the test of time, some of his work really has not. ‘I Don’t Love Anyone(But You’re not Just Anyone)’ fell flat. ‘You’re my Waterloo,’ however, has an echoing beauty that Doherty performed with the perfect sense of forlornness. Of Course, Doherty played some of the biggest hits. 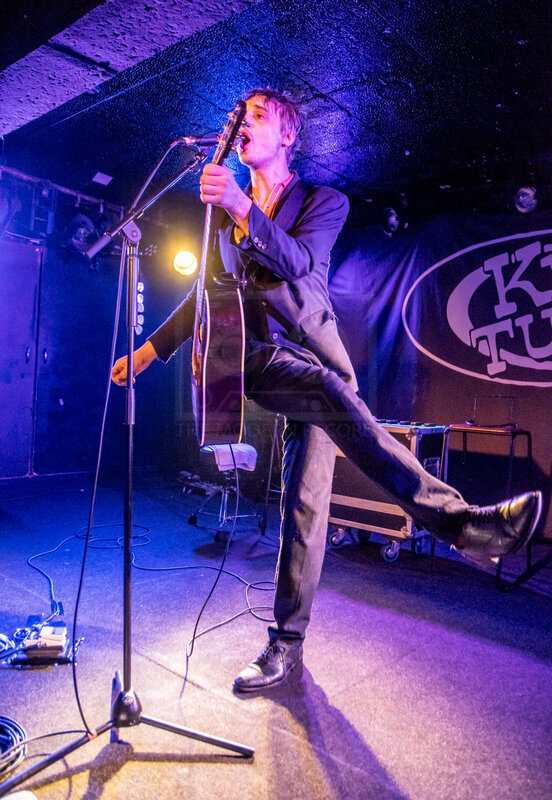 ‘Gunga Dim,’ ‘Time for Heroes,’ ‘Albion,’ and the amazingly placed finisher ‘What a Waster’ – which sent the boisterous crowd mad – were all sung and played with surprising precision by Doherty who stumbled about the stage, getting tangled in cords. Doherty frequently grabs at a table of harmonicas and powerfully blasts out wonderful hooks. 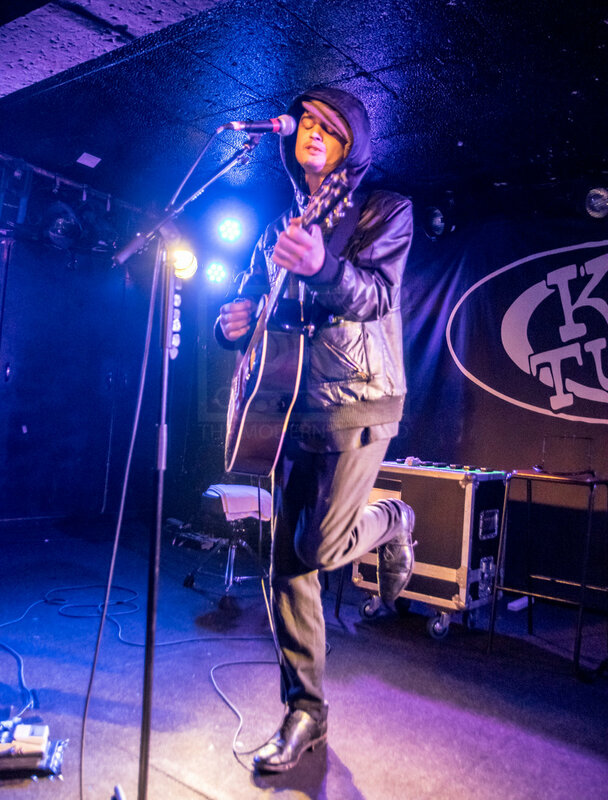 During his performance, Doherty has aggressive back and forth with the crowd. Conversation he starts trails off and he his unpredictability is on full display with his out of place responses to the fans. At one point he states his opinion about grunge icon Kurt Cobaine’s death being orchestrated by Courtney Love. 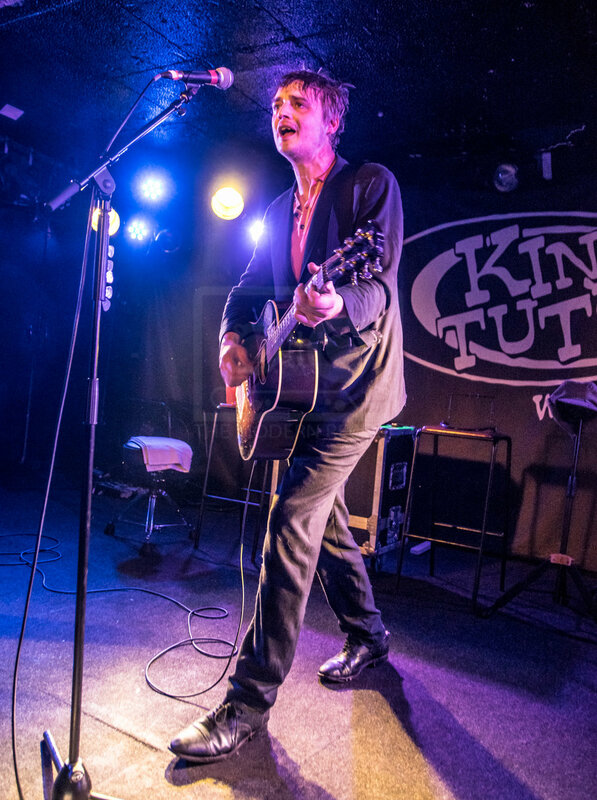 The highest energy in the room was when Doherty performed covers of The Jam’s ‘Town Called Malice’ followed by ‘George Michael’s ‘Faith.’ He shows his sense of humour and he seems light-hearted. 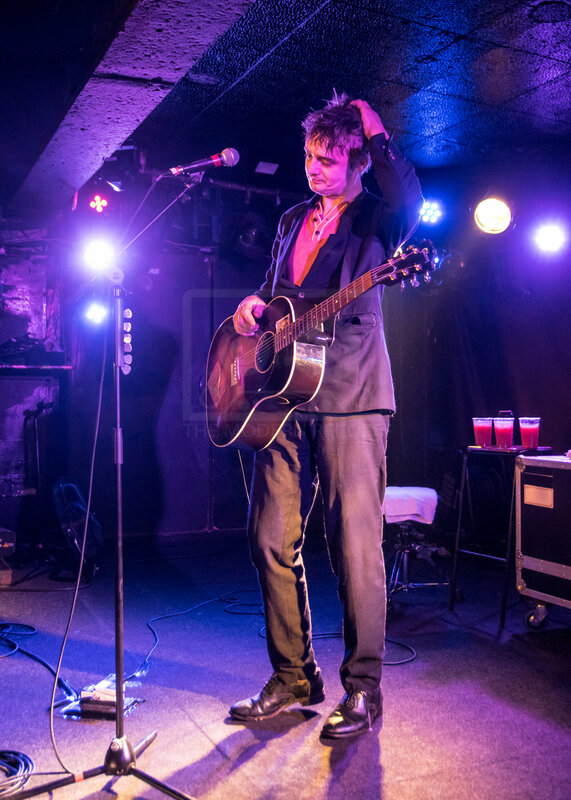 Pete Doherty can do what he does well. He shows the crowd the side of himself that they’ve always known of him. But maybe that’s the issue. Is Doherty keeping healthy? No, I would not say so if his character of that night is anything to go by. I, like many, would like see him well and I don’t think rehashing times from his dark past in small bars full of sweat and aggression is the way to go.